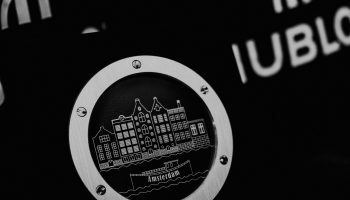 Hublot welcomed world renowned football club and brand partner, Juventus, to New York City, and celebrated in the Italian tradition at the brand’s 5th Avenue Boutique. The team kicks off their U.S. tour this Saturday at MetLife Stadium in New Jersey for the International Champions Cup against FC Barcelona, who they beat in the quarterfinals of the Champions League. Kickoff at MetLife Stadium in New Jersey is scheduled for 6 p.m. local time. As a 34-time Italian Champion, 11-time winner of the Italian Cup and 2-time winner of the UEFA Champions League, the “Old Lady” of Italian football long since chose Hublot to accompany it in the conquest of national and international titles. Hublot has been the official timekeeper of the Juventus Football Club since 2012, and this day marked yet another extension of Hublot’s deeply invested interest in the Juventus organization, global football, and ongoing support of the Hublot Loves Football campaign. 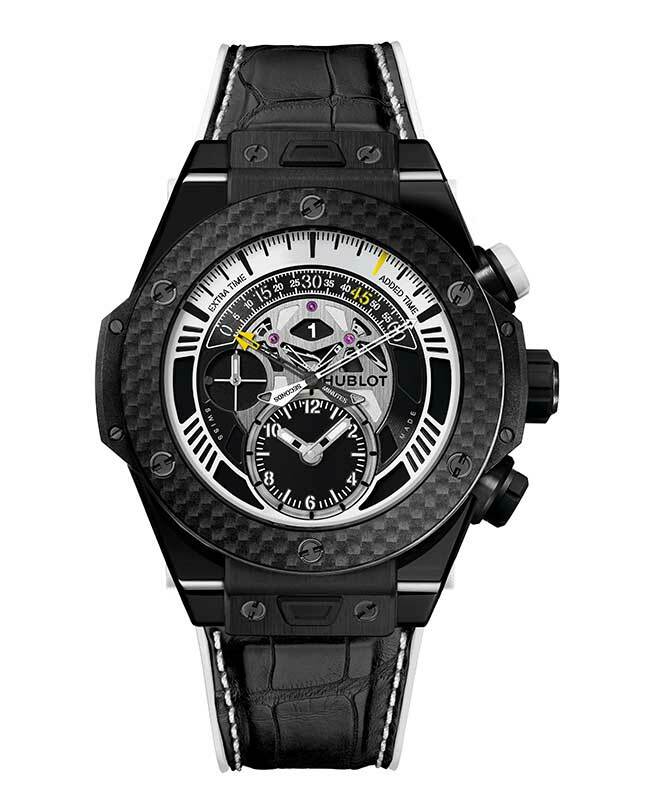 Hublot U.S. 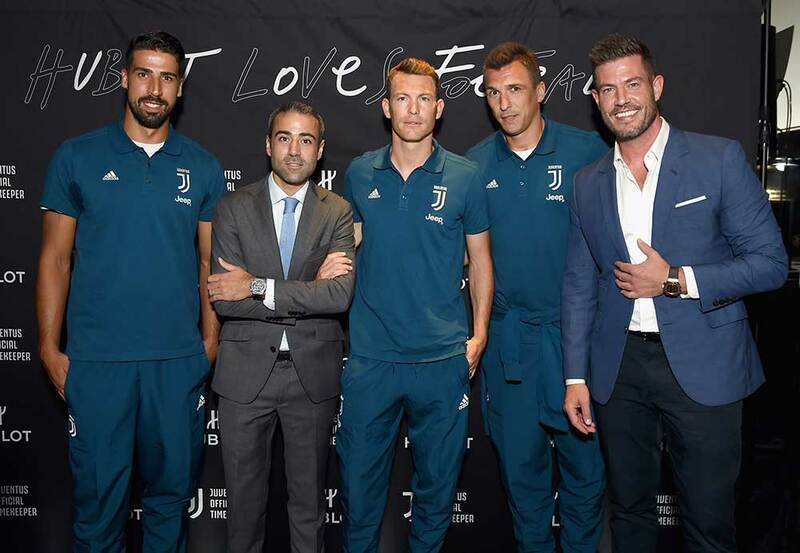 Managing Director Jean-François Sberro served as host on behalf of the brand for this exclusive event, introducing key players such as Sami Khedira, Mario Mandžuki and Stephan Lichtsteiner. Also in attendance was Friend of Hublot, TV personality, sports analyst for ESPN, and former New York Giant (the football team is another Hublot partner) Jesse Palmer. As guests arrived at the boutique, highly skilled soccer “freestylers” for the New York Red Bulls soccer team performed choreographed technical routines to entertain the crowd. Midway through the evening, Jean-François Sberro gave an introductory speech to formerly welcome Juventus Officials and the players, and provided a brief history of the partnership. 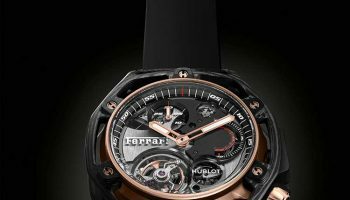 Immediately following, Jesse Palmer took the mic to facilitate a Q&A with the players to discuss their recent wins, forthcoming schedule, and what it means for them to have the continued support of luxury Swiss watchmaker, Hublot. Once the Q&A session wrapped, players joined the crowd to mingle while Red Bulls freestylers continued to show off their tricks. 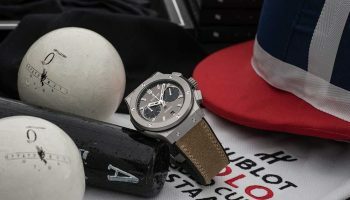 Hublot originally launched the Big Bang Unico Bi-Retrograde Juventus in November of 2015 at the prestigious Club Gianni e Umberto Agnelli at Juventus Stadium in Turin. 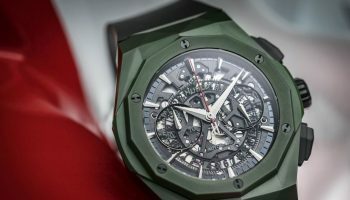 The timepiece was created to symbolize Hublot’s role as the Official Timekeeper of the football club, and to represent the shared passion for soccer and adrenaline for sport. The Big Bang Unico Bi-Retrograde Juventus showcases the bi-retrograde UNICO movement with automatic winding, resulting from the know-how of the Swiss watch brand. A mix of innovation and tradition expressed in the iconic colors of the “Old Lady” of Italian football: a case of diameter 45 mm, made of black polished and satin ceramic, with anti-reflective sapphire crystal, rubber and black titanium crown, titanium and rubber buttons in black and white, with the Juventus logo printed on caseback glass, as well as a dial, hands and strap with an alternating black and white design. 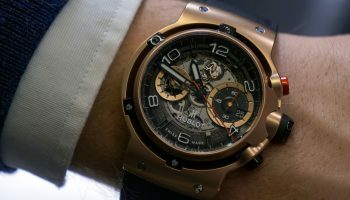 The most unique feature of the timepiece, however, is that it was designed for timing the two 45-minute halves of a football game! 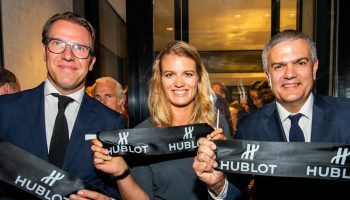 Hublot was the first luxury brand to invest in soccer in 2006, and has a close co-operation with FIFA as the Official Timekeeper and Official Watch of the FIFA World CupTM, with UEFA since 2008, and a history with the most prestigious football clubs in the world, including Juventus, Ajax, Chelsea FC and Benfica SL.